There are numerous natural and cultural sights near our winery for you to see during your visit. This way you can create the perfect one-day or weekend trip for you, your family and friends. Serbian Orthodox Church in Banostor was built in the first half of the 19th century and it is a cultural monument of great importance. 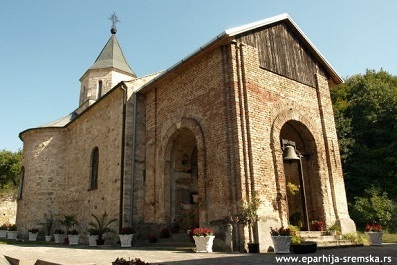 The church is dedicated to St. George. The oldest objects in the church are two choir desks and a small hexagonal table from the first half of the 18th century. 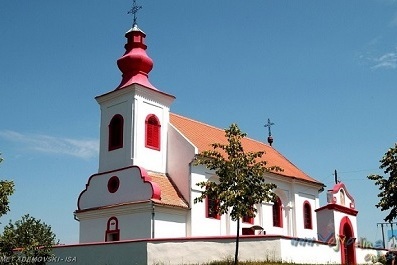 This church has always been a significant gathering place for the locals, and this tradition has been maintained to this day, especially during major holidays such as Christmas Eve, Christmas, Easter, “Vrbica” etc. 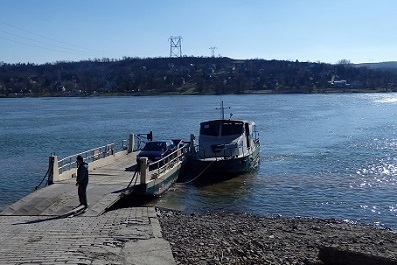 “Banostor-Begec” ferryboat on Danube River is a true tourist attraction, especially for foreign tourists. Ferry ride lasts about fifteen minutes and it offers a magnificent view of Fruska Gora Mt. and Srem on one side of the river and a view of Backa on the other side. The pleasant ferry ride on the Danube River is something that definitely should not be missed. 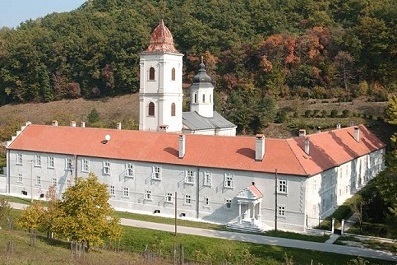 Beocin Monastery is located on Fruska Gora Mt. in Beocin and belongs to the Diocese of Srem. 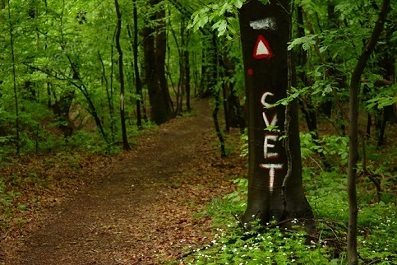 It is located 15km from our winery and 20km from Novi Sad. The monastery church is dedicated to the Ascension of Christ. There is a miraculous icon of the Mother of God and the relics of the Holy Bishop Varnava Nastic, the youngest Serbian saint in the monastery. There is also a large park created 150 years ago by the group of gardeners from France who maintained Versailles park. Rakovac Monastery is situated on the northern slopes of Fruska Gora Mt, next to Rakovacki stream in the eponymous village. The monastery is dedicated to Saints Cosmas and Damian. 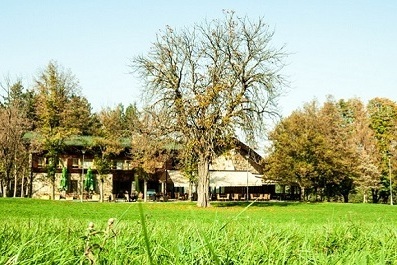 It is located 19km from our winery and 17km from Novi Sad. According to ancient legend, the Rakovac Monastery was built by certain Raka, chamberlain of Jovan Brankovic, at the place where he once killed a deer and vowed to build a monastery. The monastery was named after him. Fruska Gora National Park is a region of outstanding natural features and cultural and historical attractions. National Park covers an area of 25,000ha and it is a true treasure of flora and fauna. On Fruska Gora Mt. there is a large number of natural and artificial lakes. Around the perimeter of the Fruska Gora National Park there are 17 Orthodox monasteries built in the late 15th and throughout the 16th century during the arrival of the monks and Serbian people from the southern parts of the country in fear of the Turks. Fruska Gora National Park has a large number of well-marked hiking trails – “paths of health” that are suitable for recreational and professional hikers as well as mountain bikers. Andrevlje is one of the most beautiful picnic areas of Fruska Gora Mt. It is located 7km from Banoštor. With an altitude of 210m Andrevlje is a true little air oasis where you can enjoy your time with friends and family. On the same site there is a congress center CePTOR which offers rooms and apartments for accommodation and additional facilities such as a billiard room, sauna, gym, conference rooms etc. 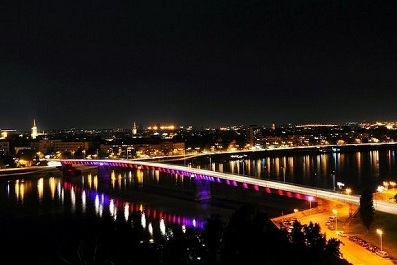 Novi Sad, the capital of Autonomous Province of Vojvodina and the second largest city in Serbia is located 27km from our winery. It is the main cultural center of Vojvodina with its many well-known landmarks such as the Liberty Square, The Name of Mary Church, Zmaj Jovina Street, Danube park, Petrovaradin Fortress etc. Visit to Novi Sad combined with a visit to Banoštor and our winery is a perfect combination to get to know both urban and rural way of life in Vojvodina.